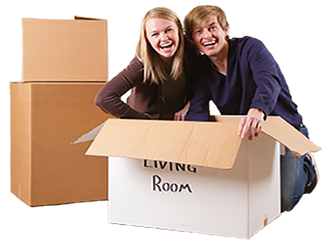 We are a first choice when it comes to house removals in Birmingham. All due to our integrity, time keeping, work management, positive reviews and most important of all our prices. Whether you require a man with a van in Birmingham, two men with a van in Birmingham or three men with a van Birmingham; we are at your services. Our man with a van have more than 5 years of experience in the removals industry. Providing office removals in Birmingham for many years. For the few past years we worked with businesses providing commercial removals and office relocations in Birmingham. Our Part moves removal services is the best solution for those who would like us to move part of their furniture. Get moved quicker and save money by booking this service! Welcome, you are one step closer to joining a list of more than a thousand of our satisfied customers!! 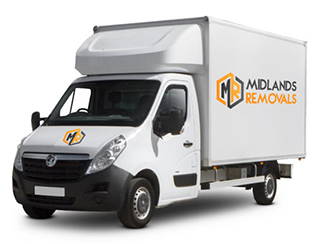 Midlands Removals & Deliveries are a fast-growing removals and deliveries company based in the heart of Birmingham. We are a team of experienced and dedicated professionals who specialize in full house removals in the Midlands, office removals in the Midlands and contract commercial deliveries the Midlands of all kinds. Providing a nationwide coverage, we assist our customers in moving within the local area or when moving to the other side of Scotland. Over the past few years, we have grown to be the company of choice amongst local residents, companies, charities and schools within The Midlands. Our outstanding customer satisfaction reviews can be found anywhere online including Facebook, Freeindex, Yellow Pages and several directories. Goods in transit insurance covers property against loss or damage whilst your goods are in transit from one place to another or being stored during a journey. In order to maintain client satisfaction and our reputation as the leading removal company in the Midlands, Midlands Removals is fully insured to cover goods up to any amount or value of belongings. Due to our hands-on experience we know the value our client’s goods; as a result we have eliminated possible damages or claims never against us. We use removal blankets to protect all furniture which is also securely strapped onto the van to minimise damage during transportation. Every once in a blue moon little accidents happen in removals and or during deliveries. Someone might slip or trip over something and often those accidents can result in a public liability insurance claim. Public Liability insurance protects our business if clients or members of the public experience personal injury or property damage during a removal or delivery. Be aware that most insurance companies will not provide cover for objects not packed by your removal company. You can never start packing too early. Last minute rushed packing can easily lead to mishaps. Save time and money and give away/or sell objects you really no longer want or have use for. Moving is a good opportunity to reassess the value or usefulness to you of some of your possessions. Don’t cut corners by underpacking. Save costs by doing it yourself but get the correct packing materials for the job. We can supply you with all the packing material and removal packing cases you will need and at very competitive prices. Our outstanding customer satisfaction reviews can be found anywhere online including Facebook, Freeindex, Google Plus pages and several directories. We take care of all the necessary planning, (packaging if necessary) loading and offloading at your desired destination. With us, no job Is considered too big or too small; we have worked on both ends of the extreme, from working for 15 hours on a single job to delivering a single sofa! All this at an affordable price with no hidden costs! All your precious goods are fully insured and documents are available upon request.